Michaels Canada Christmas Coupons & Sales: Save 50% off 1 Regular Price Item & More + Holiday Flyer Deals! Good morning 🙂 Happy Friday! Two more days! Save up to 50% off on last-minute Christmas gifts, stocking stuffers and gift wrap at Michaels Canada stores! Michaels has two coupons plus good flyer’s deals! Amazing Christmas and Holidays’ offers including up to 70% off Christmas trees, home décor, ornaments, floral plus more clearance sale items with 70% off! 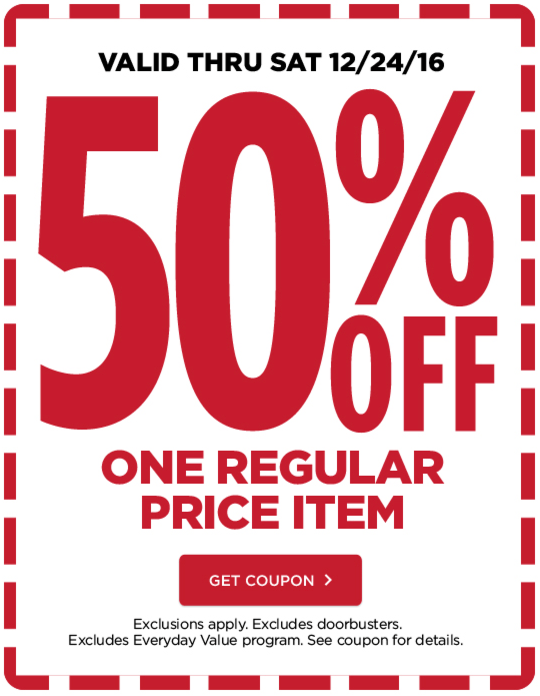 Save 50% off one regular price item. Save 35% off all Hampton & Oxford Street custom frame collections. Also, check out this week’s flyer and enjoy the Christmas and Holiday sales and clearance.